Give someone a gift they won't forget. 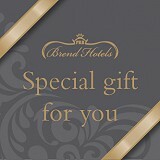 All Brend vouchers can be bought online and delivered straight to your inbox! For more information, please call our Reception team on 01395 512555.